NPR and ProPublica launched an investigation on America's rising maternal mortality rates. More American women are dying of pregnancy-related complications than any other developed country. The United States saw a 26.6% increase in maternal deaths from 2000 to 2014, according to a recent study published in Obstetrics & Gynecology. Racial disparities make these trends even more distressing. 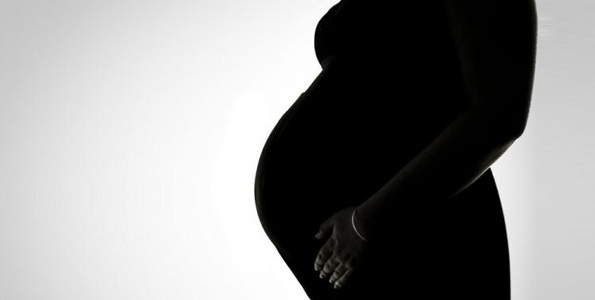 According to the Centers for Disease Control and Prevention, African-American women are almost four times more likely to die of pregnancy complications. Maternal mortality is also more common for low-income women and women living in rural areas. Only about 6 percent of the nation’s Ob–Gyns work in rural areas, according to the latest survey numbers from the American Congress of Obstetricians and Gynecologists (ACOG). Yet 15 percent of the country’s population, or 46 million people, live in rural America. As a result, fewer than half of rural women live within a 30-minute drive of the nearest hospital offering obstetric services. Only about 88 percent of women in rural towns live within a 60-minute drive, and in the most isolated areas that number is 79 percent. The ProPublica investigation shows, America has not published official maternal mortality statistics in more than a decade. So we are forced to rely on incomplete estimates because the data needed to determine exactly how many women are dying, and from what causes, go uncollected. Many states have created Maternal Mortality Review Committees (MMRCs). Maternal and public health experts analyze maternal deaths and propose ways to prevent similar deaths. The data from these MMRCs have revealed that more than half of maternal deaths are preventable. California created its MMRC in 2006 and reduced its maternal mortality rate by more than 55% to 4.5 per 100,000 live births, far lower than the national average. It was accomplished by using its data to design safety resources and tool kits aimed at the most common causes of maternal death in the state. For example, excessive bleeding and complications of high blood pressure, such as preeclampsia are common causes. Many states have not set up MMRCs due to lack of funding. There are multiple reasons for a rising maternal mortality rate in the U.S. New mothers are older than they used to be, with more complex medical histories. Half of pregnancies in the U.S. are unplanned, so many women don't address chronic health issues beforehand. Greater prevalence of C-sections leads to more life-threatening complications. The fragmented health system makes it harder for new mothers, especially those without good insurance, to get the care they need. Confusion about how to recognize worrisome symptoms and treat obstetric emergencies makes caregivers more prone to error. While most developed countries are making strides in preventing maternal-related deaths, the United States is falling behind. Addressing the causes of maternal mortality as well as contributing factors and underlying problems is a national concern. Health care professionals are the first line of defense for reversing this lethal trend. Do you have any experiences or thoughts you’d like to share on this topic? Perhaps something you practice that would be helpful to other Nurses in a critical delivery situation? Agreement to publish on our DiversityNursing.com Blog is at our sole discretion.